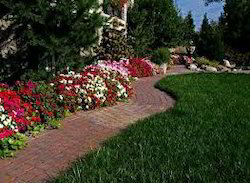 We offer Interlocking graden morning wak Blocks & pavers as these are secure and distribute weight so are durable. They are easy to install and replace and can be made available to our clients at competitive rates. Durable in quality, these pavers are also easy to clean and install.